Our highly ranked, entry-level Doctor of Physical Therapy program is a three-year, full-time degree program that prepares students for practice in physical therapy. The long-established Doctor of Physical Therapy program – continuously accredited by the Commission on Accreditation in Physical Therapy Education since 1980 – has relationships with clinical facilities throughout the United States and internationally where students can complete their clinical rotations. Faculty are national and international leaders in the field of physical therapy. They are committed to offering students opportunities for scholarship, research, and professional leadership. Scholarly work by faculty and students is regularly accepted for dissemination at national and international conferences, and by top journals in our faculty members’ fields of expertise. 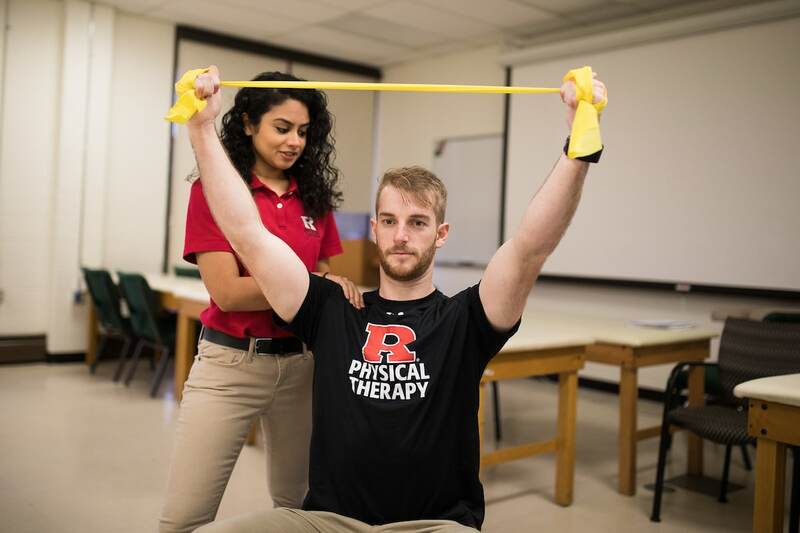 With a 100% employment rate among graduates, Rutgers DPT students are sought after for residency programs and clinical practice in every practice venue. We have two locations, Blackwood and Newark. 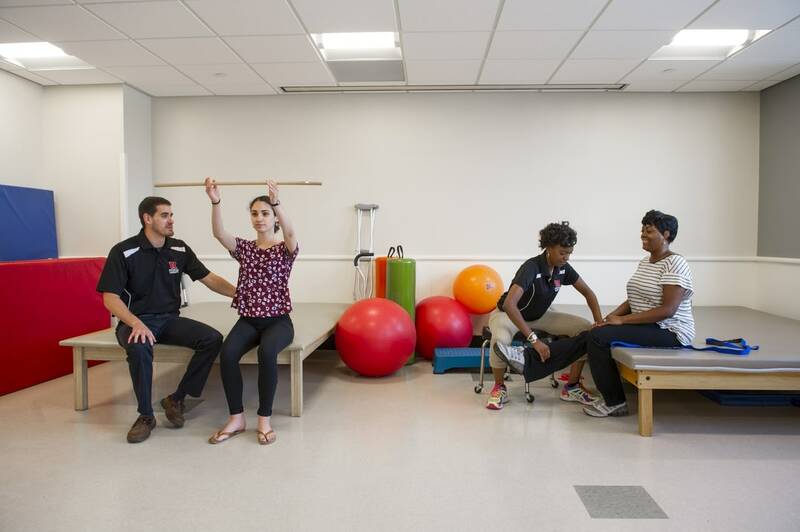 The Doctor of Physical Therapy Program, in the School of Health Professions, at Rutgers, The State University of New Jersey is accredited by the Commission on Accreditation in Physical Therapy Education (CAPTE), 1111 North Fairfax Street, Alexandria, Virginia 2231. The program has been continuously accredited since its inception, and is currently accredited through December 31, 2019. 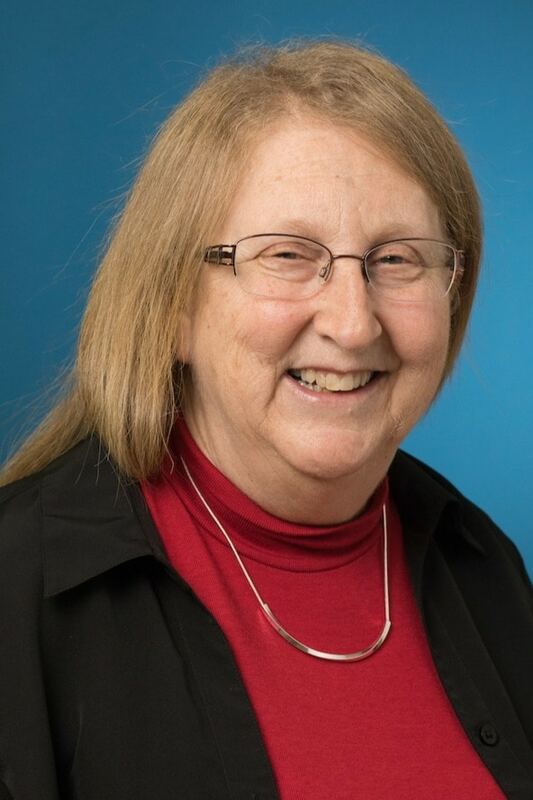 Questions regarding the Doctorate in Physical Therapy program’s accreditation should be directed to the Program Director, Dr. Nancy Kirsch, or to the Commission on Accreditation in Physical Therapy Education (CAPTE). The process for an individual to file a complaint with CAPTE for any accredited physical therapy education program is available on the CAPTE website. Employment of Physical Therapists is projected to grow 28 percent through 2026, much faster than the average for all occupations, according to the U.S. Bureau of Labor Statistics. “Each professor possesses a depth of experience and knowledge in their respective field and is committed to facilitating student growth” – Mark Kimmel, Class of 2017. Our DPT program is a full-time, three-year, day program. The program on the Newark campus begins in August; the Blackwood campus program begins in May. October 1 is the application deadline. Students with a bachelor’s degree in any major. A 4+3 program with the Exercise Science Program at Rutgers New Brunswick. A 3+3 program offered in affiliation with several state and private colleges/universities partners in the NJ/NY area. Transfer students are generally not accepted. Official GRE Score should be competitive on all three sections (verbal, quantitative and analytical). Note: scores are submitted via PTCAS.org. Newark Program code: 7636; Blackwood Program Code 6976. The GRE test must be taken within five (5) years prior to the application date. Knowledge of the physical therapy profession demonstrated by employment or volunteer experience. There is no minimum number of required hours, but the experience needs to be long enough to obtain a favorable Physical Therapist recommendation. Recommendations from three sources: (Newark) two from physical therapists and one from an employer, educational or professional acquaintance. (Blackwood) at least one letter must be from a licensed physical therapist, one letter is required from a college professor/instructor with whom the applicant has taken coursework, and the third letter of recommendation can be from any professional or academic source. Personal letters of recommendation do not meet the reference requirement. Evidence of community service and/or leadership. A personal interview is required if selected for the next phase of the admissions process. Evidence of completion with a grade of C or better in the following classes. Science courses must be either pre-med or for science majors. Online labs are not accepted. Applicants cannot have more than 4 incomplete (in progress) prerequisite courses at the time of application. At least 2 of the 4 allowable incomplete courses must be taken during the Fall semester. All courses must be completed by June 1. Evidence of completion with a grade of C or better in the following courses. A grade of B or better in prerequisite courses is recommended. Science courses must be either pre-med or for science majors with a laboratory component. Science courses must be equivalent to a minimum of 4 semester credit hours. Introductory courses for non-majors are not acceptable for the science prerequisite requirements. Statistics and Social Behavioral Science courses must be equivalent to a minimum of 3 semester credit hours. Students can have no more than two outstanding prerequisite courses at the time of application. All coursework must be completed prior to the start of the program in May. * If Anatomy and Physiology I is taken then Anatomy and Physiology II is required. If the anatomy requirement is met by a sole semester of human anatomy, a sole semester of human physiology is required. Applicants applying to either the Newark Campus program or the Blackwood Campus program must apply through the Centralized Application Service for Admission (PTCAS). Have a hard copy of your academic transcript in front of you when filling out the academic page of the application. References must be transmitted electronically. Be sure to have the correct email address of the person you are requesting a reference from. Once you submit your application, an email and an electronic reference form will be sent immediately to the reference. After submitting the PTCAS on-line application, the applicant must follow-up with PTCAS to confirm that all supporting paperwork has been received. Official GRE scores and volunteer/work experiences should be completed prior to October 1 (Newark Program code: 7636; Blackwood Program Code 6976). Students are required to meet all University insurance, health, and immunization requirements prior to beginning the program and throughout the period of enrollment. Immunization requirements can be found here. Our 110-credit DPT programs provide the entry level student with the didactic and clinical knowledge to be a safe, highly effective practitioner. Students learn to be good consumers of literature, to support evidence -based practice and gain a comprehensive knowledge of health care policy. Clinical education is essential to the development of the physical therapy student. Clinical experiences provide the student with the opportunity to integrate academic course work with practical experiences in the clinical setting. The clinical experience is where students practice the art and science of physical therapy. There are four full-time clinical experiences scheduled throughout the curriculum. 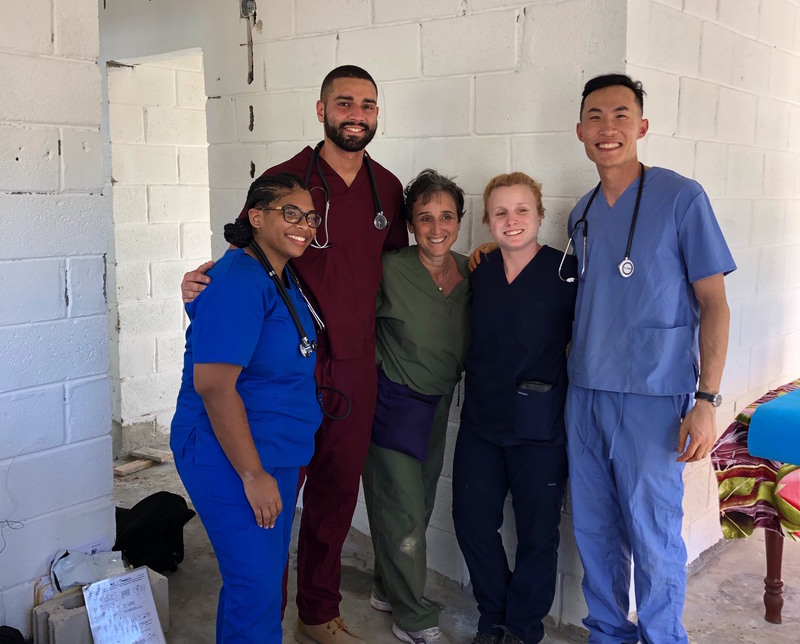 To attain a well-rounded experience, students affiliate at a variety of practice settings which include acute-care hospitals, long-term care facilities, outpatient facilities, private practices, rehabilitation hospitals, home health care, and school-based practices. The program affiliates with over 400 clinical facilities throughout the country, representing the breadth of Physical Therapy practice. All students are responsible to adhere to the program policies and procedures and the SHP Handbook. Link to policy and procedure manual for all three classes. The essential functions describe the physical and intellectual skills necessary for the academic program and the clinic. If a student has difficulty with any aspect of the essential functions, they should speak to their PT program advisor, the Program Director or student services. Students are required to participate in one professional meeting per year. The entry-level Doctor of Physical Therapy program is a three-year full time that prepares the student for practice in all entry level practice settings. Successful passage of the National Physical Therapy Licensure Examination and licensure is required for practice. What will the Doctor of Physical Therapy degree prepare you to do? You will be prepared to practice independently at entry level in all practice settings. A Bachelor’s Degree in any major with an overall minimum GPA of a 3.0 and a grade of C or better in the Prerequisites. Applicants must take the GRE’s, observe in different PT practice settings and must have three letters of recommendation, two must be from physical therapists. Once admitted to the program, can courses be taken on a non-matriculated basis? No. The program is only available on a full-time basis. Yes. The best source for financial aid information is at the Rutgers Student Financial Aid Office. They can be contacted 973-972-4376 or by clicking here. A: Yes. Rutgers University and the School of Health Professions offer a limited number of scholarship programs. DPT students helped patients manage pain, and did construction on a sustainable home. Learn more about the Newark campus.